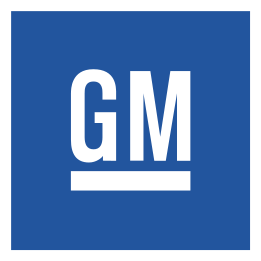 General Motors is one of the largest automotive manufacturers in the world and owns numerous brands including Chevrolet, Vauxhall, Cadillac, Buick and GMC, however they have recently been criticised for the way in which they handled the recall of millions of vehicles. Earlier this year 2.4 million Chevrolet Cobalts were recalled due to an issue with their ignition switches which has led to thirteen deaths. However, it has been revealed that the company knew about the issue for over a decade before recalling the vehicles, which had led to them being heavily criticised by both members of the automotive industry and government bodies. Now, it has been revealed that the chief executive of General Motors, Mary Barra, has fired fifteen senior legal and engineering executives for the way that they handled the recall. Five other workers who acted “inappropriately” have also been cautioned, and in a recent statement Ms Barra condemned the actions of those that were involved in delaying the recalls. The ignition switches on a number of Chevrolet Cobalts are defective due to the fact that they can slip from the “run” position to the “off” position, causing drivers to lose control. Even though thirteen deaths have officially been reported and attributed to faulty ignition switches, lawyers for the victims are claiming that the real figure is closer to sixty. After an internal report, Ms Barra released a statement claiming that the recall was delayed due to a “pattern of incompetence and neglect” and that the company would ensure that those who were responsible would be held accountable. Ms Barra went on to say: “Repeatedly, individuals failed to disclose critical pieces of information that could have fundamentally changed the lives of those impacted by a faulty ignition switch. If this information had been disclosed, I believe in my heart the company would have dealt with this matter appropriately. • GM personnel’s inability to address the ignition switch problem, which persisted for more than 11 years, represents a history of failures. • While everybody who was engaged on the ignition switch issue had the responsibility to fix it, nobody took responsibility. • Throughout the entire 11-year history, there was no demonstrated sense of urgency, even until the end. • The ignition switch issue was touched by numerous parties – engineers, investigators, lawyers – but nobody raised the problem to the highest levels of the company. • Overall, the report concludes that from start to finish the Cobalt saga was riddled with failures, which led to tragic results for many. Unsurprisingly, the price of General Motors’ stocks has fallen considerably because of the scandal and it is believed that it will also have far reaching effects on the entire motor trade industry. For example, dealers which specialise in GM models may soon see a decrease in business due to customers fearing that the models are unsafe, and motor trade insurance for those that sell certain GM models may also increase in price due to the potential risk they pose.